A new pilot campaign has launched to help tackle modern slavery within the Nigerian community in the UK. It focuses on helping those trapped in domestic slavery (also known as illegal househelp), where victims are often kept against their will, mistreated and forced to work long hours with no pay. Telling the story from the victim’s perspective, Spot the Signs, shows how ‘Theresa’ was promised a better life in the UK but when she arrived the family she was staying with took her passport away, denied her an education and subjected her to abuse. She is rescued when a church member was able to spot the signs that she was being held a domestic slave. The short film, Spot the Signs was produced by award-winning Nigerian film maker Ogo Okpue, in partnership with the Salvation Army and child protection charity AFRUCA. The film drives home the importance of everyone looking out for signs of domestic slavery, which so often happens behind closed doors – from healthcare professionals to faith leaders and from shop keepers to local police. By anonymously reporting signs of slavery to the Modern Slavery helpline, victims can be taken out of that situation and given specialist support to get their life back. What conditions are they living in? Have they ever been harmed or deprived of food, water, sleep, medical care? Do they stand out from other family members? Are they quieter, wearing poorer quality clothing etc? Can they freely contact their friends or family? Have their passport or documents been taken away? Do they work in excess of normal working hours? Or seem to be on call 24 hours a day? Spot the Signs is encouraging the community to report concerns, seek advice or get help by calling the UK Modern Slavery Helpline 08000 121 700 or visit the website www.modernslaveryhelpline.org. It’s a 24-hour confidential service which provides victims and the public access to support and information concerning situations of Modern Day Slavery, free of charge. “Since its opening in October last year, the Modern Slavery Helpline has received hundreds of calls and has already assisted in helping several people across the UK out of the misery of domestic slavery. 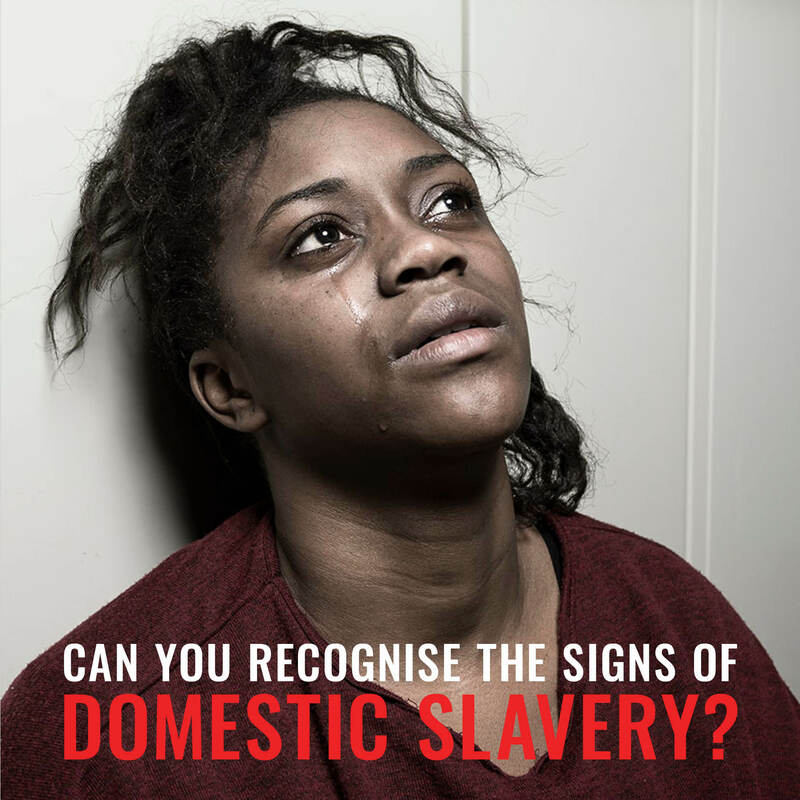 Reporting any potential signs of Domestic Slavery is critical as this information helps authorities connect the dots and take action. The Modern Slavery Helpline deals with all forms types of modern slavery and creates a link between community groups, NGOs and government organisations. Through this service victims can be taken out of harmful situations and given specialist support to help rebuild their lives.